1. 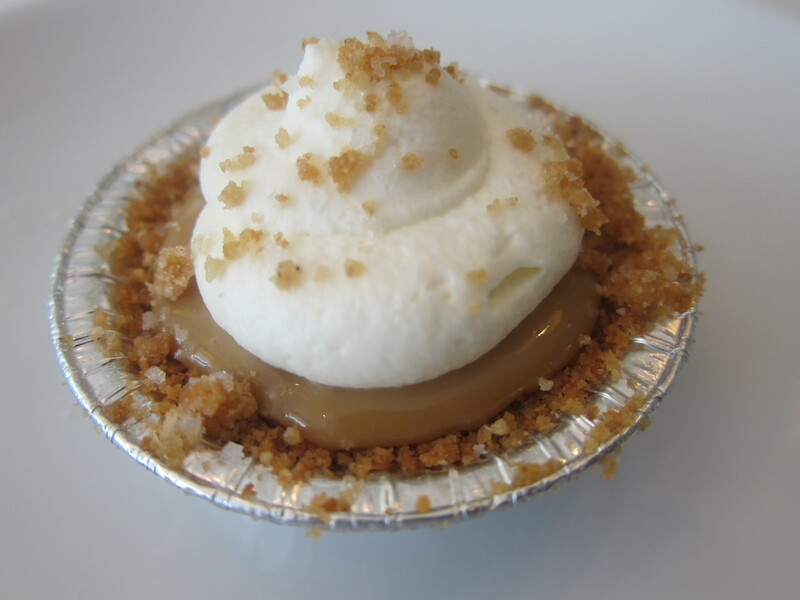 Salted Caramel Cutie Pie from Simplethings Sandwich and Pie Shop (8310 W. 3rd St, Los Angeles) This is my favorite of the dozen different miniature pies baked at Simplethings. 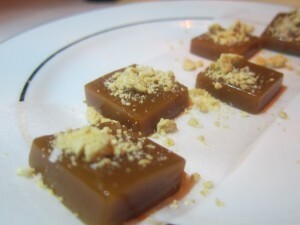 It’s the perfect tiny dessert and I can eat a whole one in three bite. They’re available Wednesday through Saturday each week. 2. Salted Caramel Cupcake from Lark Cake Shop (3337 W Sunset Blvd in Silverlake) Salted Caramel Cupcakes can be found at several bakeries in Los Angeles but this one is my favorite. 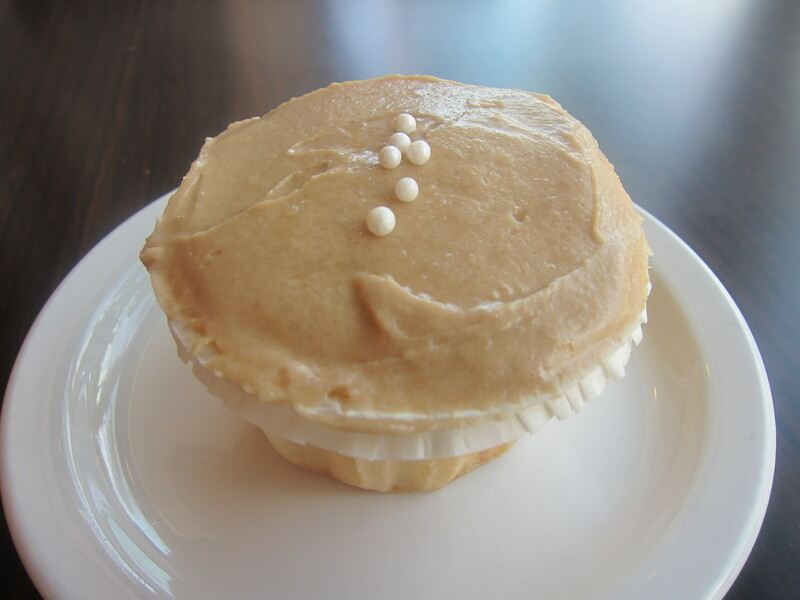 It’s a moist white cake topped with an incredibly delicious not-too-sweet salted caramel frosting. 3. 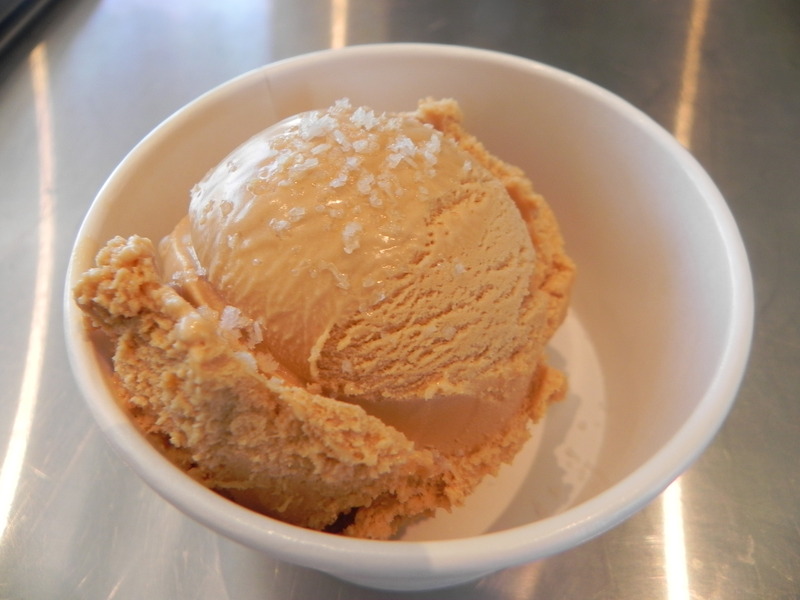 Salted Caramel Ice Cream from Sweet Rose Creamery (225 26th Street, Santa Monica) Sweet Rose Creamery in the Brentwood Country Mart makes some of the best small batch, artisanal ice cream in the city and Salted Caramel is my favorite flavor here. For maximum enjoyment, have them sprinkle sea salt on top. 4. 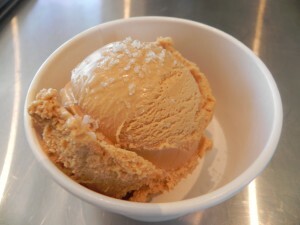 Salted Caramel Ice Cream Sandwich from Carmela Ice Cream (2495 E. Washington Blvd, Pasadena) Carmela Ice Cream also makes amazing Salted Caramel Ice Cream; it’s one of their signature flavors. It’s especially good sandwiched between two dark chocolate cookies with sea salt sprinkled on top. 5. 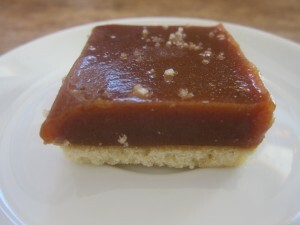 Salted Caramel Bar from Huckleberry Cafe and Bakery (1014 Wilshire Blvd, Santa Monica) Dense and chewy with a delicious buttery crust, this is one of the best things on the menu at Huckleberry. It’s half candy, half pastry and the perfect companion to a latte or cappuccino. 6. 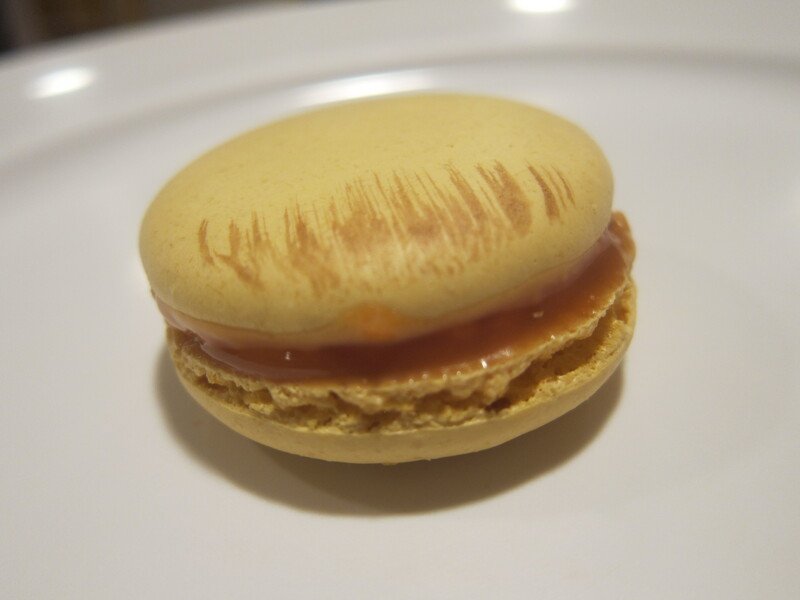 Salted Caramel Macaron from ‘Lette Macarons (9466 Charleville Blvd in Beverly Hills, 122 N. Larchmont Blvd in LA and 14 S. Fair Oaks Ave in Pasadena) French macarons are the “it” dessert right now and ‘Lette makes amazing ones including this delicate, sweet and slightly salty beauty. C’est Magnifique! 7. 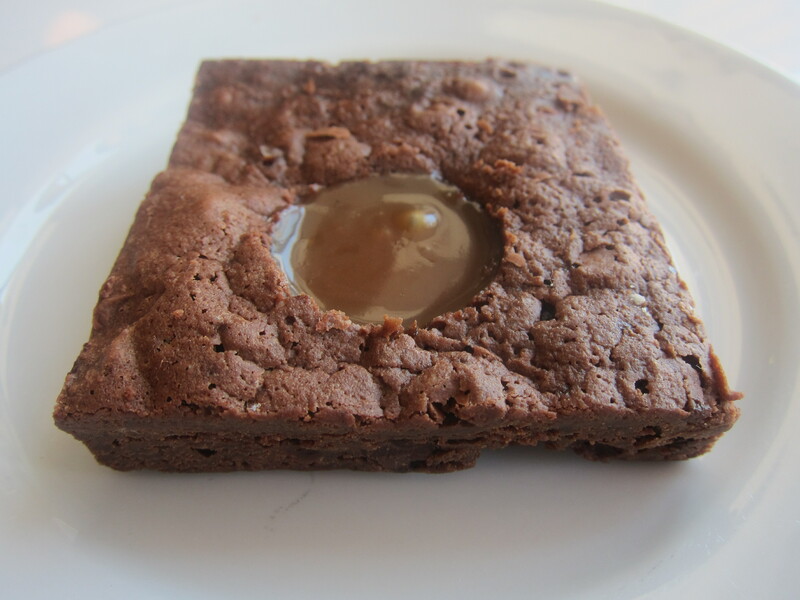 Salted Caramel Brownie from Sweetsalt Food Shop (10218 Riverside Dr, Toluca Lake) With a name like “Sweetsalt,” you pretty much need to have a good salted caramel dessert and this brownie lives up to the expectation. It’s fudgy and chewy, and baked with large dollop of salted caramel. 8. Caramels with Maldon Sea Salt and Toasted Cashews from Sunny Spot (822 Washington Blvd in Venice) You gotta love a dessert consisting simply of yummy hunks of buttery candy sprinkled with chopped cashew nuts and maldon salt. 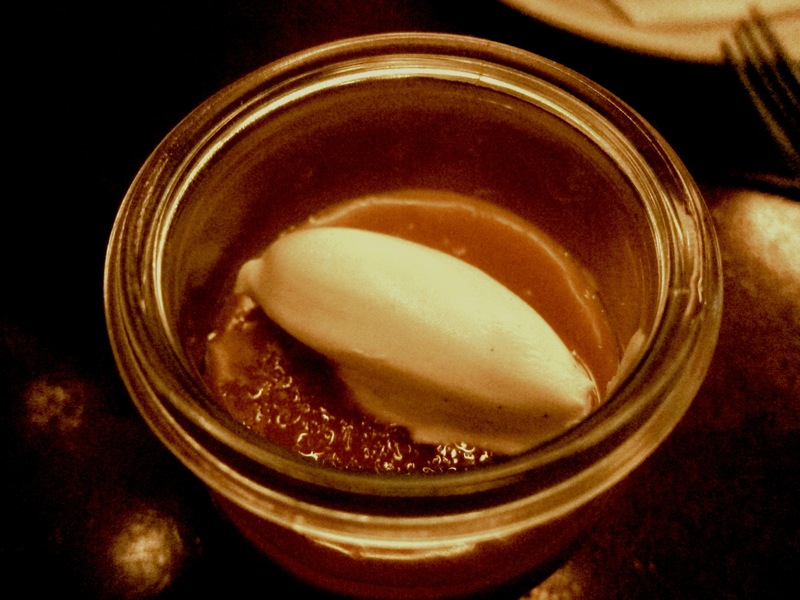 It’s the perfect decadent way to end a meal at Roy Choi’s awesome Caribbean-inspired eatery. 9. 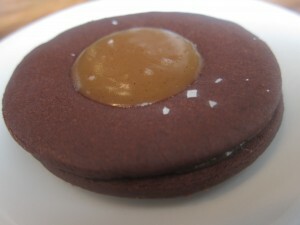 Salted Caramel Cookie from Olive & Thyme (4013 Riverside Dr, Toluca Lake) The perfect marriage of chocolate and caramel. Thick and creamy salted caramel sauce sandwiched between two delicate dark chocolate wafers, one of which has a large hole to prominently feature the salted caramel goodness. 10. 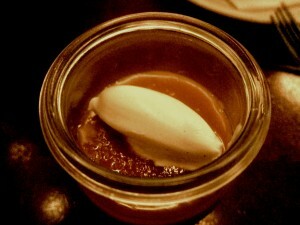 Salted Caramel Pot de Creme from Stella Rossa Pizza Bar (2000 Main Street, Santa Monica) While Gjelina, Bottega Louie and Mozza have their Butterscotch Budinos, Stella Rossa‘s pudding is a Salted Caramel Pot de Creme. 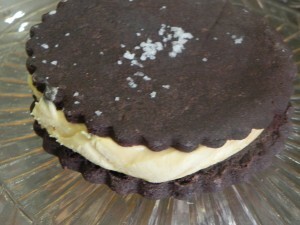 It’s outstanding and a must-have even if you think you’re too full for dessert. 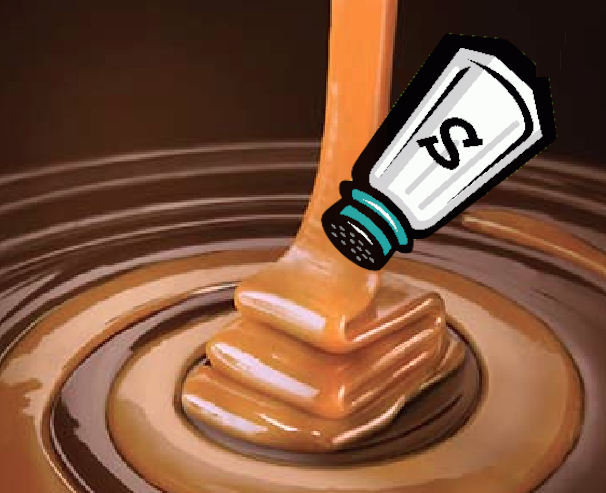 2 Responses to Who Salted My Caramel? Thanks Marc. Such an awesome compliment!